Please respect your local data privacy laws, even though the tracking ideas outlined in this concept can be set up hidden in your backend. I never got why people say users need to have a registered account or even need to be logged in that we can identify them for Web Analytics & Tracking Purposes. You can even get their names, postcodes and local addresses if you want. I rather work with a set of sufficient conditions to identify users in as many states as possible on multiple devices. Enjoy the concept below! Clearly, we need to assign User IDs next to Client IDs for Tracking nowadays. Because as we are accessing information from multiple devices on our customer journey (e.g. my Android phone, my work PC, and my notebook at home), even cross-device at the same time (e.g. watching TV + my notebook at home), a simple Client ID-based User Tracking isn't enough anymore to reflect such a fractured User Interaction holistically. It is also very likely that multiple users may share the same Device / Client ID at some point on their customer journey (e.g. when I grab the iPad on my mate's sofa table). Sometimes, more than one person is involved in the decision-making process (e.g. when I grab the iPad on my mate's sofa table to show him the sofa my wife's planning to buy). That's why we have to enrich our Analytics Data by User IDs in order to merge different Client IDs towards the actual User accordingly — generating the need for identifying users on as many touchpoints and as early as possible. And if you are able to tell which of your TV commercials made my wife initially googling your furniture brand for buying a sofa plus the number of touchpoints she had with it before: Well done, you're already on Consumer Insights Level »Ninja« (aka. 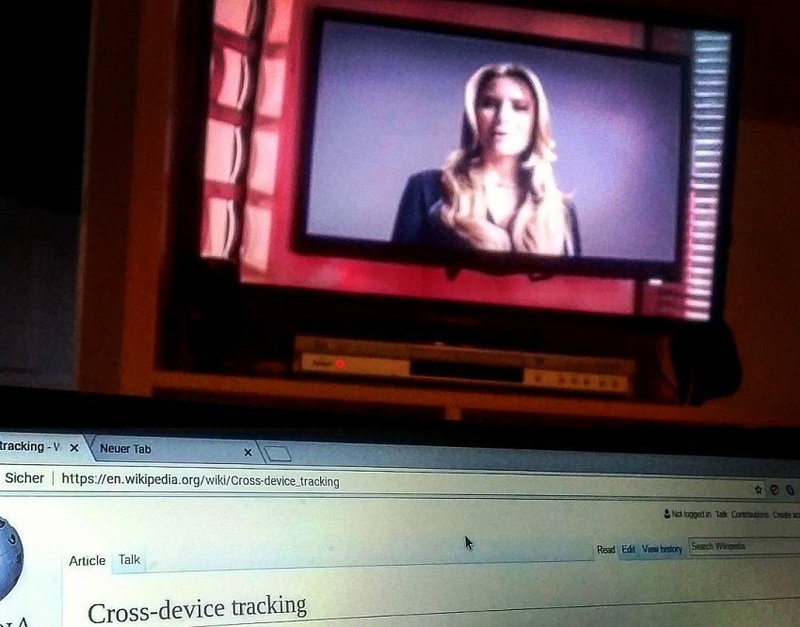 Ultrasound Cross-Device Tracking #uXDT )! If you want to track any of the above scenarios properly, at least, you will have to handle the Trinity of Session ID, Client ID / Fingerprint & User ID. What does it mean? When a user accesses your website, the server may assign a temporary ID that is unique for the lifetime of this specific web session (e.g. the one my server has created for your session: 0nheo4c8e6b1oftkb3jkieooa6). Typically, the default session timeout is 24 minutes, but it varies depending on the purpose of your app and e-commerce business. With a Session ID, you can track a user's journey through your website by following the different pages that got a hit during its lifetime. But it doesn't allow to identify a returning visitor as it is just stored temporarily and unique for each single session. If you just had a Session ID, every visitor would look like a new visitor. A Client ID is unique per Browser & Device. It helps to identify a Client over a long period of time and many sessions. This enables you to tell whether this Client / Device visited your e-commerce project before (returning visitor) or is a new user. Normally, a Client ID gets stored in a Cookie with a long lifetime (e.g. assigned to you on my domain + stored in a cookie valid for 365 days as your Client ID: 3aebae08-28a8-4cff-a966-eaecf72c20ac). Even if I weren't able to store this Client ID in a Browser Cookie on your device, in case you are blocking cookies in your browser settings, I would still be able to generate a Fingerprint as alternative to a stored Client ID. A Fingerprint gets calculated out of a set of values taken from your Device / Browser configuration. This helps to identify your Client to a (quite) certain degree (e.g. with the ClientJS algorithm by using values like Browser Version, Installed Plugins, Fonts or your Operating System). In order to reflect a User's Journey over Multiple Devices, you need to assign a persistent (and anonymised) User ID and pass it to your Tracking System like Google Analytics Servers too. This enables you to merge the Sessions from multiple Devices (Client IDs / Fingerprints) towards a specific User ID. Like this, you are able to track a User's Journey in a realistic and holistic way. When, and when not to assign a User ID to a Client ID for Multi- & Cross-Device Tracking? The big question is: Does a user need to be logged in in order to be identified, or are there other sufficient conditions that allow us to say that a specific User ID is using a Client ID at the moment? Think about the following scenarios. You may ask: How does it help for Multi- / Cross-Device Tracking to have a User ID that will never be able to perform a login on a different device as no account was registered? In detail, how can you identify such a guest user on a different device? The answer is easy: It helps exactly for Multi- and Cross-Device Tracking as you are able to send a tagged link to the user's email inbox which probably gets clicked on another device. Imagine, the Guest User receives your Email. Maybe, you are going to send it in the morning around 8 am when most people are on their way to work. Very likely, this email will be opened on a mobile device. If an email contains a tagged link, you will be able to identify the user on every device she clicks the link — even there isn't any account registered that would allow the user to perform a login. Congratulations, you successfully mapped a second device for a user who is even not able to log in as there wasn't any user account registered yet. It works very well with tagged links in messages on Social Media Networks too. Always create good reasons why a user expects / accepts + interacts with your message. This doesn't mean that you should not take the effort to influence the user's decision to create an account. Because a user with a registered account comes with a lot of benefits for your Website Analytics & User Tracking. Here, you would have to think about a suitable difference in interaction time that would qualify a user as the main user of your website, app or e-commerce project if multiple users were sharing the same device. Further, you may target the new user with a tagged email link too. If it's a guest user, very likely, the tagged link in your email will be clicked on a mobile or different device. This technique may help to identify the User ID-Client ID relation as well in the following case when even the new user sets a stay-logged-in cookie. If more than one user sets a stay-logged-in cookie on a Client ID, of course, the old one has to expire. The big question is: Which one will you count on the next hit from the Client ID? Of course, the one with the active stay-logged-in cookie. In this case, it would be the new User ID. Of course, you could work with a new set of rules (for example) checking if the old user is logging in again straight on the next visit. This could be counted as a clue that the old one is the main user of this Client ID even no stay-logged-in cookie is set this time. Further, you could work with time-based conditions as outlined above. If you rely solely on Fingerprints in your Tracking without Client IDs in Cookies, you need a process to update them properly (I rather add new ones to the database table as I can hardly define any sufficient conditions, especially for users without an account). It will make sense to store all values that contain a software version or device model in your database separately (and not just the entire fingerprint). This will allow you to update relevant fingerprint values one by one when you think a user has switched to a new device or run a software update and calculate a new fingerprint for the new configuration of an existing Client ID. You Fingerprint system need to be bulletproof for these cases and work with sufficient conditions to identify them too. Software updates are quite easy and clear to handle, switches to a new device seem to be a bit tricky. But actually, you just need to add a new row to your database once you identified the user on a new device / fingerprint. It works well even without saving all the values separately. Because updating a fingerprint is rather guessing than a sufficient condition in my eyes. If they can even choose between different prizes (e.g. a weekend trip, a flat screen TV, or money), you will note what may influence a user best while decision-making processes. For example, you could get a clue that a user is rather convinced by immaterial benefits like free premium service (prize: weekend trip) than a free material gift (prize: TV set) or a voucher (prize: money) to convert in your shopping cart and complete the checkout. There are many onsite interactions that provide relevant data for tracking and user insights. Even small things like filters on your category pages. Or even better: Are your visitors able to share, like & rate your content? Are there users who interact significantly more with specific pieces of content on your website? — Well, think about it: Those are very clear signals about interests and other individual preferences like preferred price range, colours and brands. This may enable you to tell where your users stay between 9 am - 5 pm and where they sleep at night.